NEW YORK TIMES BESTSELLER Celebrity model Ines de la Fressange shares the well-kept secrets of how Parisian women maintain effortless glamour and a timeless allure. Ines de la Fressange--France's icon of chic--shares her personal tips for living with style and charm, gleaned from decades in the fashion industry. She offers specific pointers on how to dress like a Parisian, including how to mix affordable basics with high-fashion touches, and how to accessorize. Her step-by-step do's and don'ts are accompanied by fashion photography, and the book is personalized with her charming drawings. Ines also shares how to bring Parisian chic into your home, and how to insert your signature style into any space--even the office. The ultrachic volume is wrapped with a three-quarter-height removable jacket and features offset aquarelle paper and a ribbon page marker. 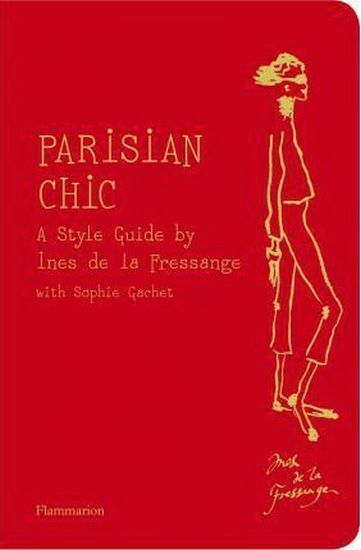 Complete with her favorite addresses for finding the ultimate fashion and decorating items, this is a must-have for any woman who wants to add a touch of Paris to her own style.